They can steal your card, but not your face… Upgrade your access control and add threat detection simultaneously with a system that is easily tailored and layered to your specific needs. 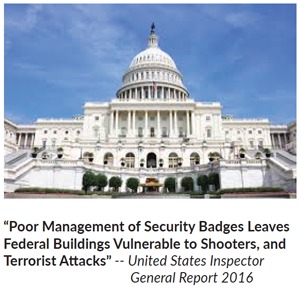 Thousands of badges are lost/stolen each year leading to a need for a secondary biometric solution in sensitive environments. Some biometric solutions are intrusive and prone to misreads. With First Line Facial Recognition, you get the best non – intrusive secondary biometric solution with added capabilities of deterrence, threat detection, and alert capabilities. Face Identification: can be separated into three distinct categories: known, unknown and alert. Notification on-site monitoring, emails, text messaging including camera location, name, notes, and photos of the alert. Theft of time, data, and the assurance that the right people are where they should be are all cost impacts to corporations, airports, health care, and hospitality venues alike. PROTECT data storage rooms from external and internal threats. VALIDATE access control of employees, contractors, and visitors. REDUCE cost of card replacement and guards. INCREASE liability protection against workplace and domestic violence. Why is this the best biometric?